Gastrophysics seminar is coming to Brisbane! Gastrophysics: The Art of Consuming Everything but the Food is coming to Brisbane on 23 August. Hosted by Le Cordon Bleu Master of Gastronomic Tourism and Haute Etudes du Gout graduate Neil Gow, this popular seminar will appeal to budding gastronomes, industry professionals, hospitality educators, chefs and aspiring foodies. 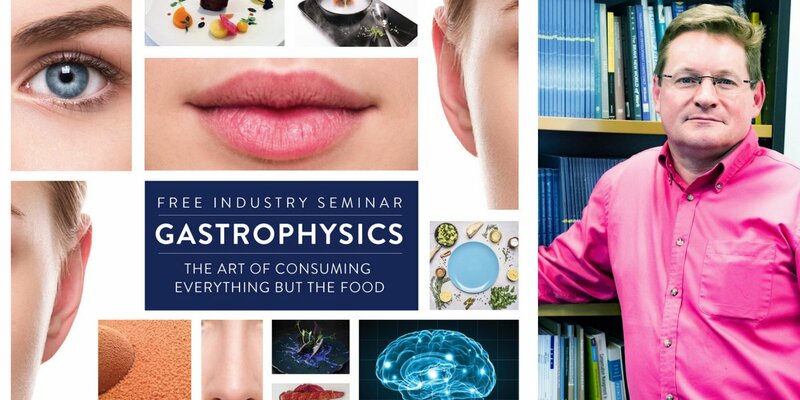 A free industry seminar, Gastrophysics: The Art of Consuming Everything but the Food, is coming to Brisbane on 23 August. Hosted by Le Cordon Bleu Master of Gastronomic Tourism and Haute Etudes du Gout graduate Neil Gow, this seminar will appeal to budding gastronomes, industry professionals, hospitality educators, chefs and aspiring foodies. Around 1000 people have already attended Gastrophysics seminars in Melbourne and Sydney, or viewed the LiveStream from Melbourne. In this thought-provoking seminar, Neil examines the principles of molecular gastronomy and modernist cuisine, delving into multi-sensory dining and its influence on dining and restaurant practises and emerging trends in cuisine and dining. This seminar will appeal to everyone: food and wine industry, chefs, culinary arts students, hospitality teachers as well as gastronomic amateurs and enthusiasts keen to learn more about contemporary trends in gastronomy. This is a free industry event with limited seating available and registrations essential. Light refreshments and drinks will be served. Le Cordon Bleu Professional Learning is proud to announce that Neil Gow is facilitating an upcoming 4-week course 'Contemporary Culinary Arts: Modernist Cuisine & the Art of Dining', starting online on Monday 10 September. Click here to register for Contemporary Culinary Arts: Modernist Cuisine & the Art of Dining. Click here for more information about all online courses available through Le Cordon Bleu Professional Learning.